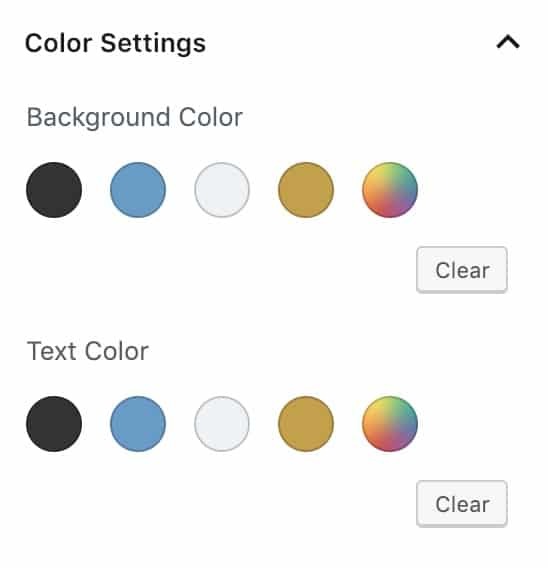 With Gutenberg out, everyone’s starting to use the shiny new color settings. Luckily, it’s possible to put them into sync, and it’s not particularly difficult. I looked all over the place, and couldn’t find anyone with a tutorial about it. I haven’t seen this method used anywhere else all together just yet, but I’m drawing on a number of guides in pulling together the functionality to completely automate this process. Simple enough, right? 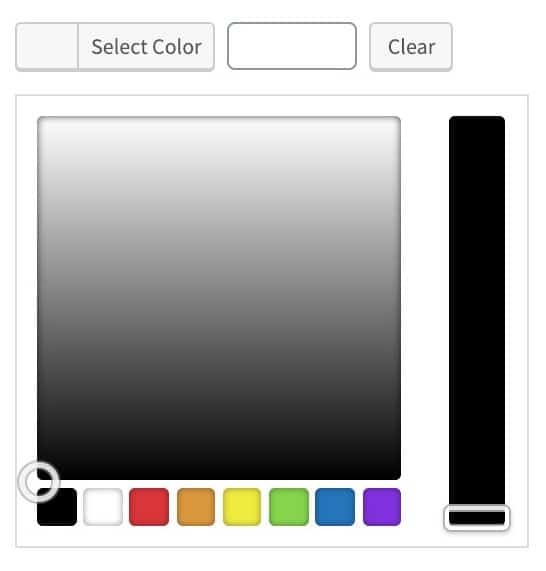 Just plug in in your colors, make sure to give them names, and use your own textdomain. So, we’re going to get the array of colors, then loop through it to build the markup above. That’s all! Just add those three snippets into your functions file, and you should be all set! For my purposes, (I’m building a plugin which needs this done automatically), I’m including two of them in a plugin, then still allowing the theme to define the colors. Nice tutorial – I was looking for a way to sync the ACF and Gutenberg color pickers. It seems to me like there needs to be a separate ACF field type which uses the color picker and palette in the same way as the native Gutenberg paragraph, button etc blocks do. With them – they return a CSS class like ‘has-primary-background-color’ – which is what I would like my custom ACF (v5.8) Gutenberg Blocks to do. 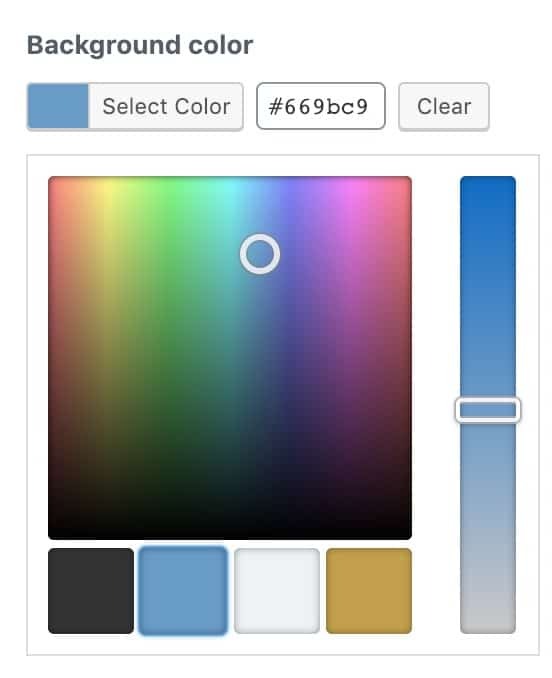 But the standard ACF color picker just returns a HEX value. Yeah, I completely agree. I’d actually love to see them move to the new color picker entirely. It’s really, really pretty compared with the current ACF picker, and less limiting (if you try adding 20 colors, it starts to break down a bit). I’d love for them to return both values (the name of the color and the hex code) as well, though I don’t think there’s functionality right now to actually label the colors in ACF at all, if I remember right. It’s pretty handy to allow for the person using the site to pick any color at all, though. I built a little plugin for my own sites that preconfigures several ACF blocks, and it does allow for any background color (or color overlay) to be added, and it’s been nice a few times already to allow a particular section to go off-palette – for example, if I’m overlaying a video background with an overlay at 60% opacity, sometimes my theme-defined color just looks too light over top of the video, so it’s nice to pick a darker version of the color that I don’t necessarily want the client to see as a preset. Actually, if you wanted a (kind of ugly) way to put those pieces into sync, you probably could use php to get the hex code (as if you were about to output it), then use something pretty similar to output_the_colors() to detect which color corresponds and output the corresponding class instead of the hex code. The main reason this implementation is ugly is that if you ever changed your color definition for “blue,” for example, then it would no longer stay in sync (because your code would no longer see a corresponding class for the old color hex code where that’s selected): but you could output both the class and the hex code to keep it from breaking too badly.